Unrestricted participation in sports activities and return to the pre-injury level is often reported as an indicator of the success of ACL reconstruction. The athletes’ choice not to return to their pre-injury level may depend on the knee function, but some times, social reasons or psychological hindrances such as fear of re-injury may influence their return to sports. The aim of this study was to investigate whether fear of re-injury due to movement is of significance for returning to previous level of activity in patients who have undergone anterior cruciate ligament reconstruction. 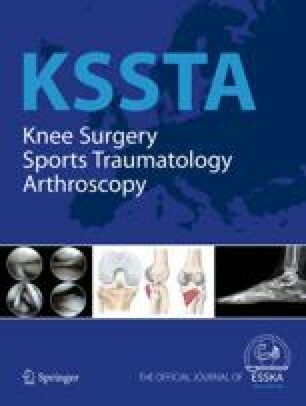 The Tampa Scale of Kinesiophobia (TSK), the Knee Injury and Osteoarthritis Outcome Score (KOOS) and some general questions were mailed to 87 patients who underwent ACL reconstruction 3–4 years before the study was conducted. Sixty-two patients (74%) answered the questionnaires (34 men and 28 women). Fifty-three percent of the patients returned to their pre-injury activity level. The patients who did not return to their pre-injury activity level had more fear of re-injury, which was reflected in the TSK. In addition, high fear of re-injury was correlated with low knee-related quality of life. Fear of re-injury must be considered in the rehabilitation and evaluation of the effects of an ACL reconstruction. The authors especially thank Inger Eriksson for valuable help with the study administration. This work was supported by the Faculty of Health Sciences, Linköping University.